We are very lucky in that High Cup Nick perhaps the most spectacular feature and walk in the North Pennines is on our doorstep. High Cup Nick or High Cup Gill as it is sometimes referred to, is one of the greatest and truly dramatic geological formations in the UK. From the village of Dufton the walk can also be combined with a walk along the old pony tracks for the lead mines behind Dufton Pike and up Threkeld Side, past the ancient lime kiln, lead mines and on upwards onto Great Rundale Tarn and Dufton Fell itself. A different feeling all together of being literally on top of the world, with its rolling open moorland with its precious peat hags and priceless fauna and flora. The walk then joins the Pennine way across the footbridge over Maize Beck and onto the full majesty of High Cup Nick itself and the downhill route along the bowl of the gill back to Dufton with views across the Eden Valley to both the Lake District Fells, Howgills and the Yorkshire Dales. We can organise a local guide for this walk who both farms on Dufton Fell and has knowledge of the mining and the conservation of the grouse moors. He also does not need a sat nav if the clouds come down, proper local knowledge!!!! Prices start by arrangement from £80, Very good value when spread over a group. Apart from High Cup Nick, Appleby is also fortunate to have a number of established long distance walks like The Dales Highway, The Westmorland Way and Lady Anne’s Way that either start or finish with us depending on which way around you approach them. There are now several firms that offer baggage transfer services, so that you can take advantage of staying somewhere comfortable each night and have your bags ferried on. 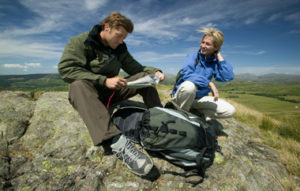 There is a published guide to The Dales Highway a long distance walk from Saltaire near Bradford to Appleby. The route is 90 miles long and takes 6 days. The pocket sized guide is written by Tony and Chris Grogan and is just £6.99. All details are on their website www.daleshighway.org.uk . 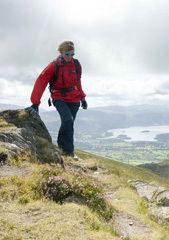 There is an excellent guide book for Lady Anne’s Way from the website www.ladyannesway.co.uk. The Westmorland Way is well covered by Brigantes on their website where you can also buy a competitive baggage transfer deal for all of the walks leaving you free to choose your own accommodation. There are also lesser-known routes full of interest and challenge too, covering a variety of terrain, a wealth of flora and fauna and spanning centuries of man’s struggle to tame the wilder uplands. 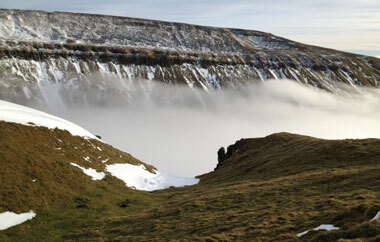 If like me you like Rivers, then the Eden Way travels from the source of the River Eden at Mallerstang to Carlisle. 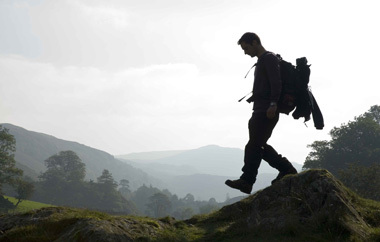 If you prefer to have an more organised walking holiday, there are numerous guided walks throughout the year – take a look at the visit eden and GoLakes tourist board websites for further details of walking events. We are also fortunate to have the Settle Carlisle railway running through Appleby which offers many guided walks from different stations ranging in difficulty from hill walking to easy rambles. The Discover Eden websitealso has several circular walks which have been improved for easy access and are clearly marked. 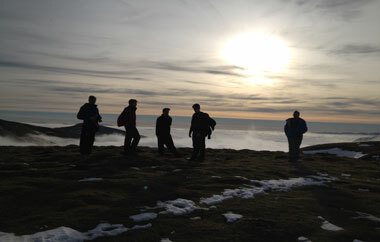 The Eden Valley provides an attractive venue for those wanting a walking holiday and a convenient base for taking on some more serious hill walking. Have a look at our self catering serviced apartments at the Tufton Arms Hotel for your next walking holiday. The historic town of Appleby is the ideal base from which to enjoy the truly diverse golf courses in Cumbria. From the treeless, windy, free draining moorland golf course at Appleby with its panoramic fellside views and renowned fast true greens to the parklands of Penrith, which is set above the town looking down on the splendor of the Eden valley and the Lake District. Or you may wish to discover the jewel in the crown which is Silloth, a true links course situated on the Solway Firth and used for open qualifying. Many would agree that Silloth would be on the open rosta if it was nearer civilisation! What a start to your golf holiday in Cumbria. The Tufton Arms provides the perfect nineteenth hole with it’s a mix of luxury and comfort to complement your golf break in Cumbria a combination which will make your golf holiday that little bit different. Try a three night golf stay and play a moorland, parkland and links course for that essential variety in life.